One of Colts Neck's most picturesque properties. This meticulously restored Greek Revival home embodies the Old World details, yet renovated with top of the line modern day conveniences. Set on over 2 acres of mature landscaping, this enchanting backyard includes an oversize custom gunite swimming pool, guest/pool house with kitchen (incl. a/c & heat) large barn with loft & paddocks, oversize 3 car garage with possible loft. Eight (8) fireplaces, recently renovated gourmet kitchen, renovated bedrooms, updated marble bathrooms, new enlarged laundry room, hand hewn beams, wide plank floors, leaded glass, built-ins, Built-in gas generator. Many residents commute to NYC, sandy beaches within 20 min, numerous golf courses and a great school system. Quality & Taste Unmatched! 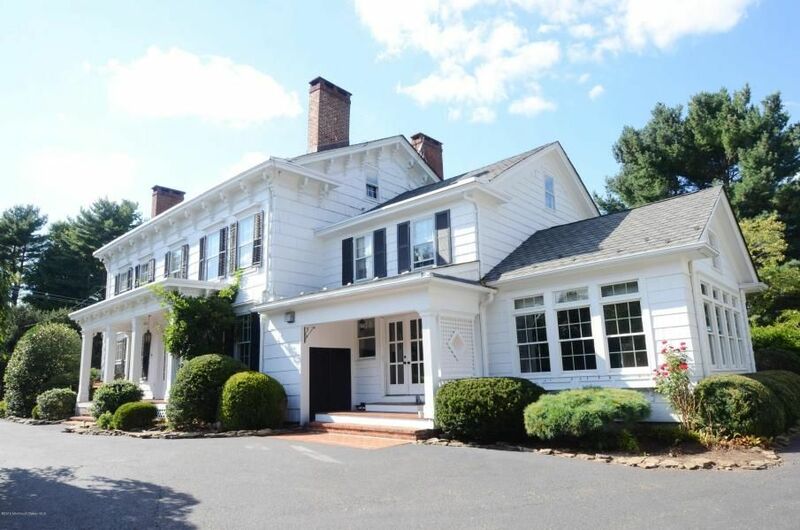 One of Colts Neck's most prominent Historic properties remaining.